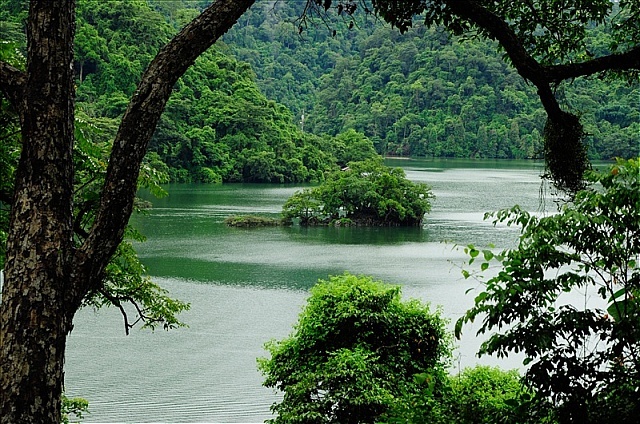 Vietnam’s largest natural lake, Ho Ba Be forms the core of the delightful Ba Be National Park, a feast of limestone and tropical forest. 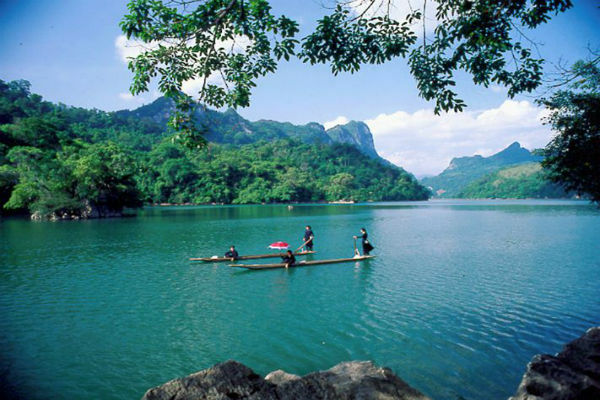 Enclosed by steep, densely wooded slopes breaking out here and there into white limestone cliffs, the lake is 7km long, up to 30m deep and a kilometre wide in parts. A few islands decorate the surface.